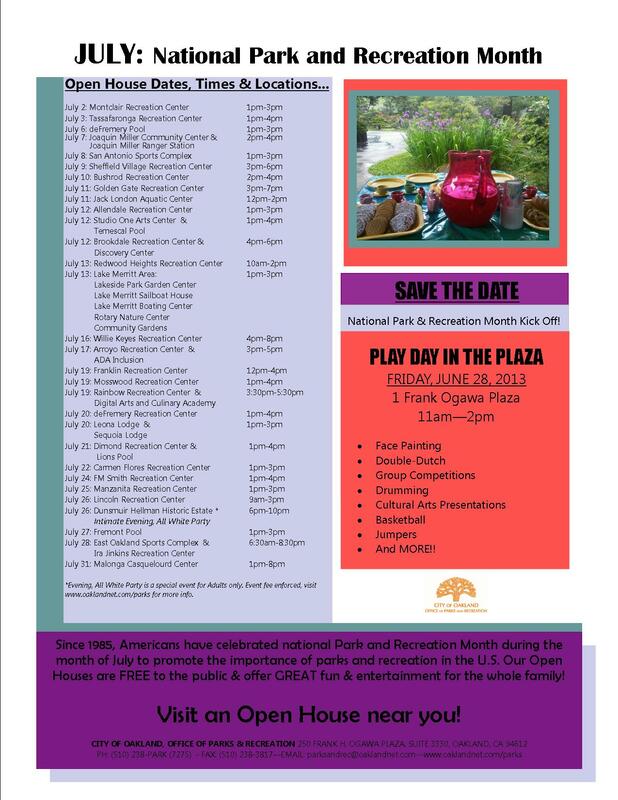 Play Day in the Plaza is Friday, June 28! Since 1985, Americans have celebrated national Park and Recreation Month during the month of July to promote the importance of parks and recreation in the U.S.
Oakland Parks and Recreation centers will be hosting open house events throughout the month of July, for more information, including dates & times, download the National Parks & Recreation Month flyer. Our Open Houses are FREE to the public & offer GREAT fun & entertainment for the whole family!